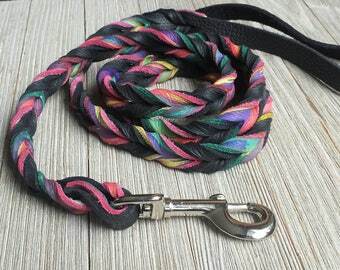 This Bullhide leash combines red and tie dye leather with several colors such as pink, purple, teal, green and yellow. It comes in a width of 5/8" and a nickle or brass snap. Convo me if you want a different width, snap and colors. 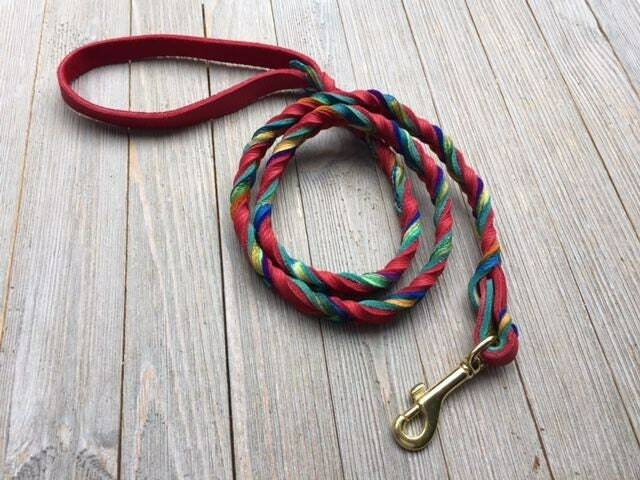 Each leash is unique and the picture might be a bit different than the leash you get. However, the colors will be the same.